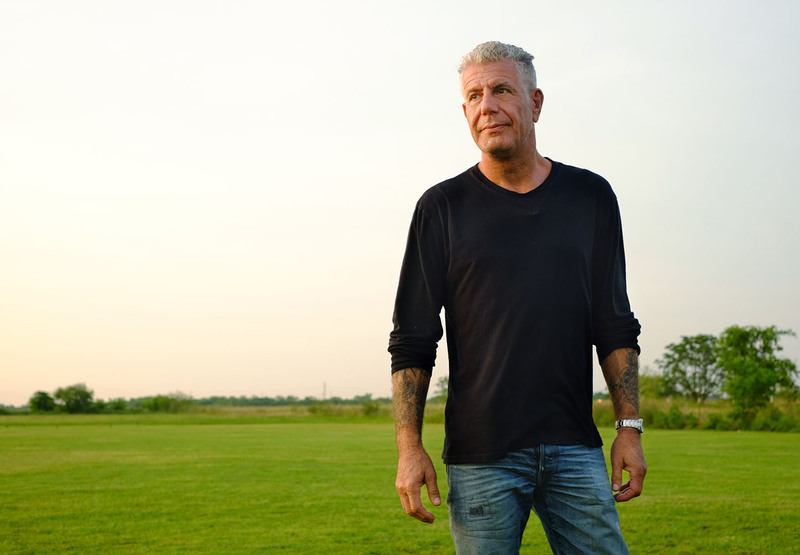 Chef, author, and television personality Anthony Bourdain recovered from heroin addiction and used his global platform to educate the public about the opioid crisis. Photo: Courtesy of CNN. These words were spoken not by a journalist, not by a public health official or addiction expert, but by Anthony Bourdain, the celebrated chef, author, and television personality who died last week at the age of 61. In season four of his award-winning CNN series, “Parts Unknown,” Bourdain traveled back to Massachusetts, where he first worked in a kitchen — and first tried drugs. Throughout his life, he was vocal about his struggles with substance use, a problem all too prevalent in the restaurant industry. The Substance Abuse and Mental Health Services Administration reports that about 17% of full-time workers in the “accommodations and food services” industry had substance use disorder in the past year. In a 2016 interview with Biography.com, Bourdain said, “I got off of heroin in the 1980s. Friends of mine from the ’70s and ’80s, they just got off 5, 6, maybe 10 years ago.” Perhaps this is why, even decades after getting sober, he continued learning and speaking out about the country’s opioid epidemic. In the Massachusetts episode (watch it on Netflix), Bourdain traveled to rural Franklin County to discuss the epidemic’s local impact with diverse community members: an undercover detective, a woman who was treated for addiction after giving birth to her daughter, the local opioid safety task force, and others. And he came to the conclusion many Americans still do not share: Stigmatizing substance use disorder by using the phrase “war on drugs” or creating an outgroup of “them” holds this country back from making true progress in the fight against the epidemic. In Vox, German Lopez highlights a new study, published in Preventive Medicine, that found a majority of Americans oppose needle exchanges and safe injection sites, and that “stigmatizing attitudes toward people with addiction appear to be to blame.” Research shows that needle exchanges and safe injection sites help combat the spread of hepatitis C and HIV and can help connect more people to needed drug treatment. But stigma holds these policies back. “This is something I’ve seen time and time again in my reporting on the opioid epidemic,” Lopez writes. Fortunately, there is increasing recognition by health care professionals of addiction as a public health issue. Medical schools in California are responding to the opioid epidemic by training more physicians to treat opioid addiction. Catherine Ho writes in the San Francisco Chronicle that UCSF’s School of Medicine started a yearlong fellowship in addiction medicine in 2017, when it also maxed out its elective buprenorphine training for residents and faculty (offered since 2011). The current addiction medicine fellow is Dr. Hannah Snyder, who leads an effort to help hospitals treat people with addiction during in-patient stays (Project SHOUT). The Stanford School of Medicine is adding addiction medicine courses with a focus on safe opioid-prescribing practices to the curriculum. Addiction treatment has even reached the emergency department (ED). Many people with opioid addiction end up in the ED because they are experiencing symptoms of withdrawal, including severe nausea and full-body aches. Usually, the ED team treats these symptoms and sends patients on their way with a referral to addiction treatment services. But this process misses a critical point of intervention — starting treatment for the addiction itself in the ED. A study published in JAMA found that patients given buprenorphine, an FDA-approved medication that treats opioid cravings, along with referral to treatment, were more than twice as likely to be in treatment 30 days later compared to patients who only received referral. At Highland Hospital in Oakland, emergency physician Andrew Herring and his team have been using the buprenorphine-and-referral approach for two years. At first, they saw only a couple patients a week. Now, as the opioid epidemic rages on, they see one to two patients a day and are able to offer them buprenorphine and connect them to outpatient addiction treatment. Herring is also working with eight hospitals across California’s rural and urban areas to institute this model of care, an effort that CHCF supports. “Not everyone has to hit ‘rock bottom,’” he writes on the CHCF Blog.